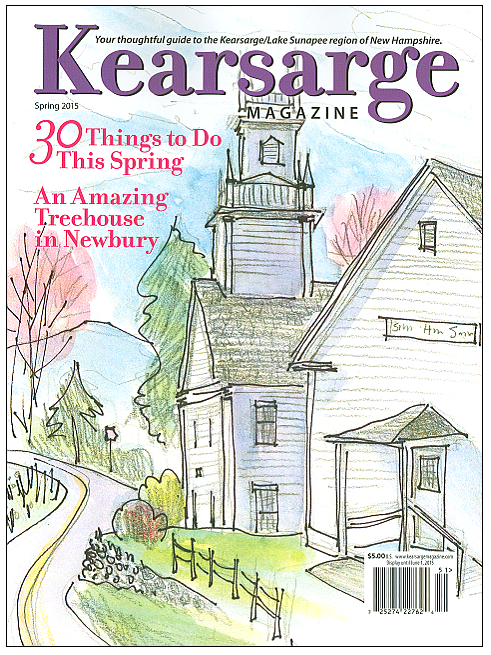 Early in the month we drove about an hour and a half to the east to meet up with a friend for dinner and then hear New Hampshire humorist Rebecca Rule entertain us at the South Eaton Meeting House. The day was very warm and the space unventilated, so we each were handed a paper plate as we passed through the front door. They served as fans. Becky was impressed and took a photo of all her ‘fans’ before beginning her talk. It’s a joke. Afterwards, we used them as plates for our desserts at the social hour. The building, constructed in 1844, has beautiful curved plaster walls. The official name is the First Free Will Society Meeting House. In Greek Revival style, it is a simplified rural adaptation. The town is very proud of it. Becky does look like a preacher as she stands there retelling old New Hampshire stories. 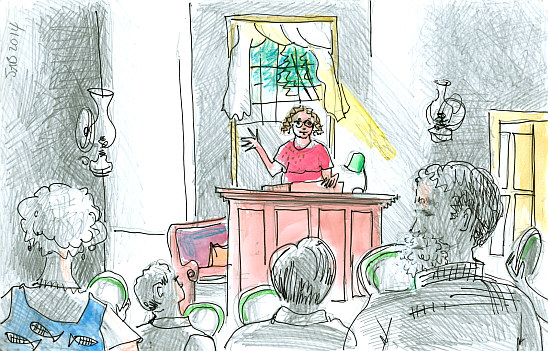 And, as is her customary procedure, shamelessly soliciting contributions of new stories from the audience, which she will add to her marvelous repertoire and perhaps retell over in the next town. 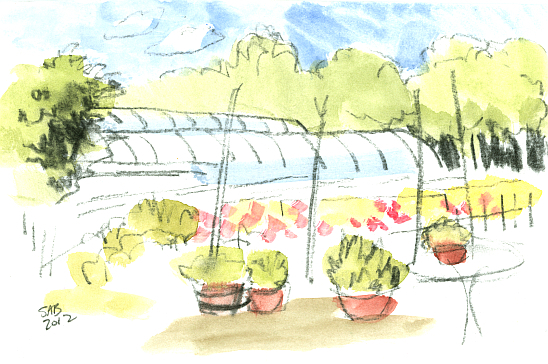 The long curved shapes are two of the greenhouses at Spring Ledge Farm, here in New London, NH. A word about art materials: this drawing was done using soft charcoal for the lines and the darks, and watercolor for the tones. It has an entirely different effect from an ink line. 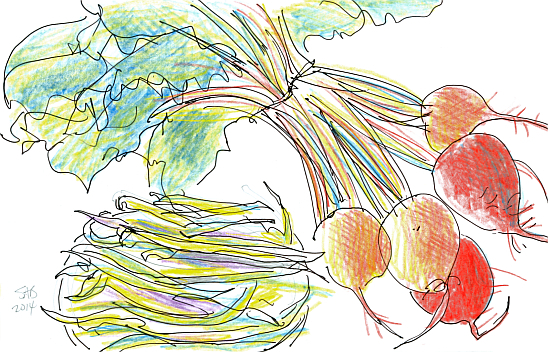 Beets come in many colors, not just red. Like yellow and orange. We eat the greens too. I have always loved fresh green beans, and yellow ones too. Yellow beans are often called wax beans, although they do not seem any waxier than the green. And the stems are so colorful. 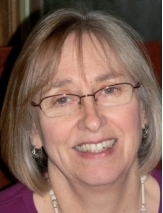 At our weekly market we have farmers and also crafts people like this potter, Anne Boisvert. These hand thrown pots have a lovely mixture of blue and green glazes. And some nice bumpy slip texture. Uptown, as we call Main Street in our little village. It’s on a ridge—you have to drive uphill to get there. Here you can rent kayaks. Then you can drive down the hill to put them into the waters of Pleasant Lake. Our two kayaks are on storage rack to the right. Mount Kearsarge and Black Mountain are on the far side of the lake. The public boat ramp is over there too. This drawing is five years old. But nothing has changed. Except that our grandchildren are now old enough to play at the volleyball net. A week ago Saturday we drove to Concord, New Hampshire, the state capitol. 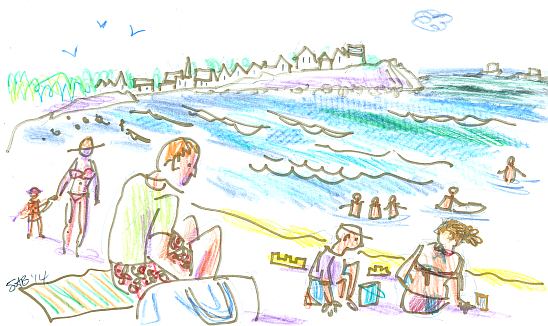 I was there to draw on location at a meetup of sketchers—a sketchcrawl. 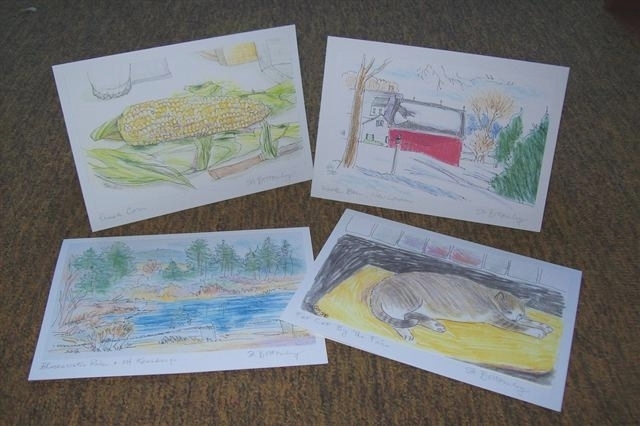 An artist named Bobbie Herron has started a group there called DrawingAttentionNH that meets on the third Saturday of the month. You can follow them on Facebook. We are in a small courtyard in front of the Hamel Center and the New Hampshire Historical Society’s Museum. Through the iron arch is Main Street, with its summer street fair. The illegible red sign says ‘Fries’. The crowds hadn't really shown up yet when I drew this. That is OK, as I was focused on the arch, and on the ornate stone building behind. In Eagle Square you can find a lot of granite. Big piles of blocks of it. 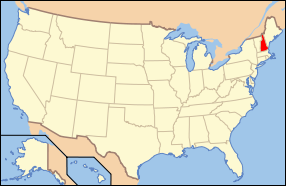 (Residents of New Hampshire are called ‘Granite Staters’.) The stones in the foreground are granite, as well as the building behind. So, how to get some color into the scene? A three member band started to play. 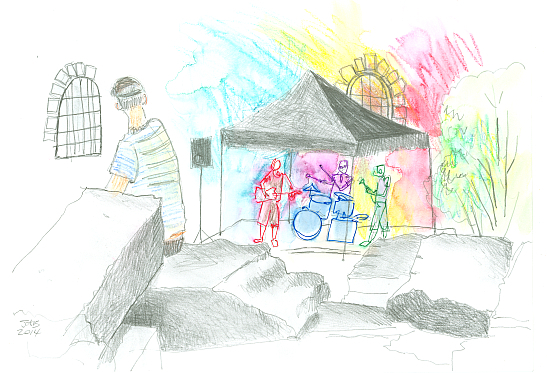 While they themselves were not personally colorful, their music was loud, cheerful, and echoed in the space. I am attempting here to use color to indicate music. 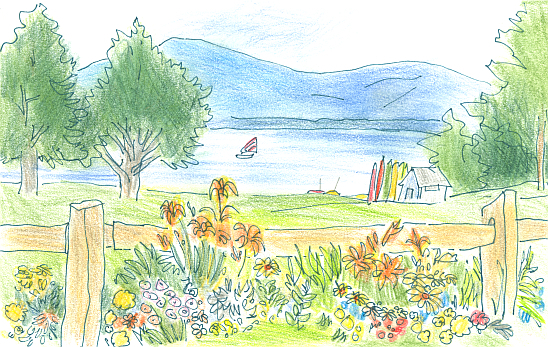 In the spring, I taught a drawing class. 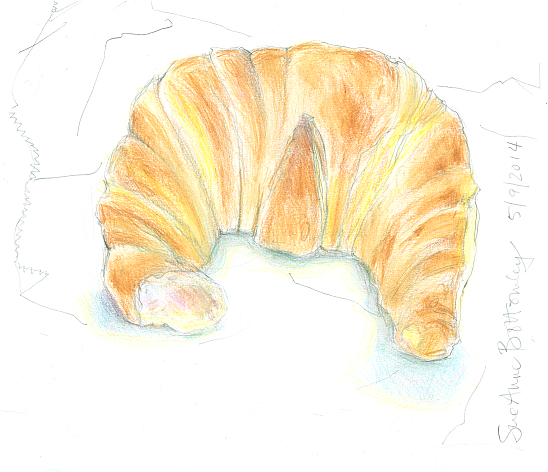 Here is a demonstration drawing/painting of a croissant. I am judging it a success by the fact that it makes me feel hungry. 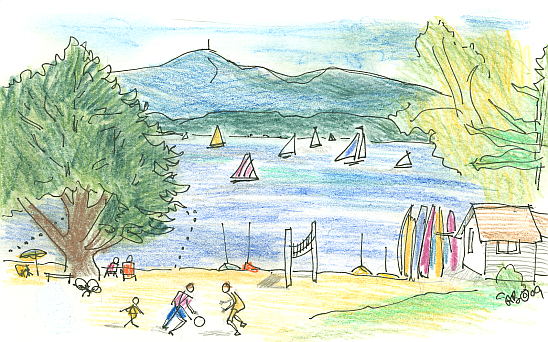 Local readers: This Saturday, July 12, we will gather at Sunapee Harbor, NH for another Sketch Crawl. Last month’s was great fun, and I’m looking forward to doing it again. I call our recently formed group the Second Saturday Sketchers. It runs from 9 AM (or whenever you can get there) to 12 noon. Rain or shine. It is a miniature harbor—you will be able to find us whenever you arrive. See last month’s post for further details. Saturday is also a designated International Sketch Crawl Day, too! We will not be alone! 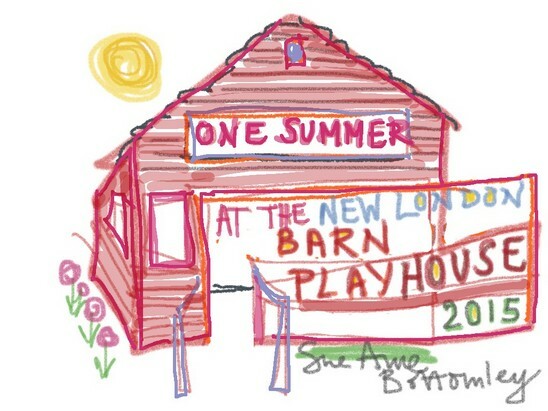 Check out www.urbansketchers.org to learn more. 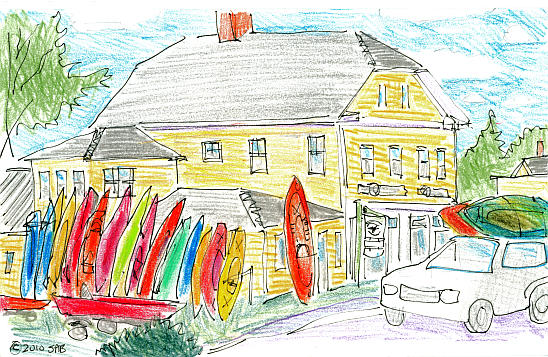 Our Canadian branch family came for a visit recently, and one day we headed to Hampton Beach. It is a sandy stretch of shore on the Atlantic Ocean. The waves were a little higher than usual and the occasional brief gusts of very warm air quite confusing. We think this was all due to Hurricane Arthur coming north from the southern part of the U.S. coast. The two figures to the right are family members, our daughter and grandson, busily erecting sand castles. The man in the Hawaiian shorts is not related. It was a crowded beach. Sometimes you sit very close to people that you don’t know at all. I added the color at home. 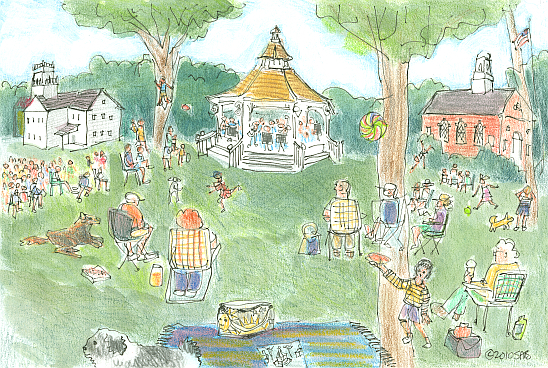 Just for fun, I decided to gather five drawings that I have done on our town green, which all include the wooden bandstand. 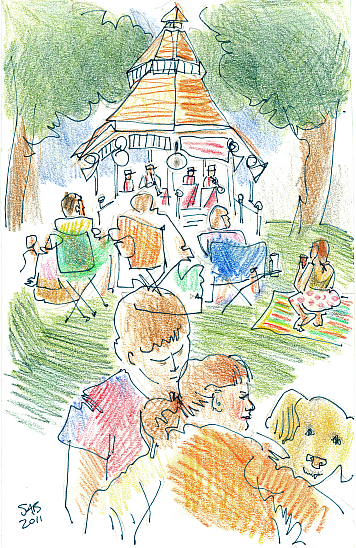 Four of the drawings show a band or a small number of musicians playing in the bandstand. The town green hosts local musicians throughout the summer, at Friday evening concerts and at the weekly market on Wednesday afternoons. All kinds of musical styles. Sousa marches, jazz, blues, big band from the 1940s, and folk are the most common. Above, a woman plays a flute during one of the markets. Next to her is her drum. Local residents and summer visitors bring their chairs and picnic suppers. The events are free. 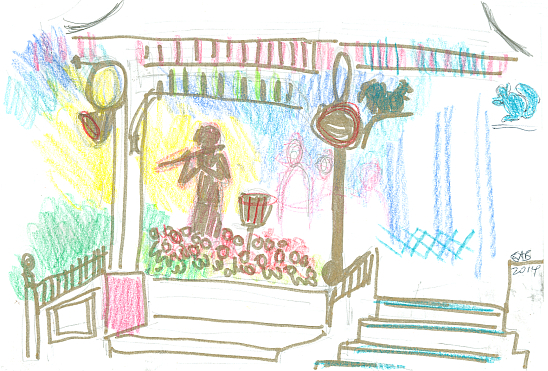 Our attractive bandstand has small sculptures of squirrels and French horns too. It was recently renovated, and the shingles on the roof are still acquiring their weathered-in appearance. 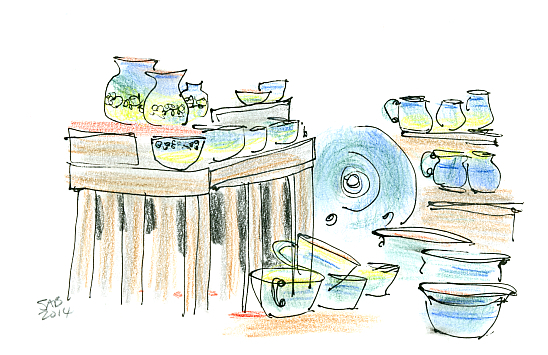 Once a year, the New London Garden Club hosts its Antique Show fundraiser. 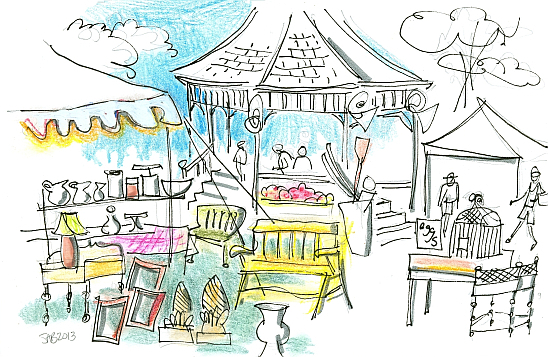 At this time, the bandstand is filled with antiques and other old stuff. The date this year is July 26 should you be in the area. 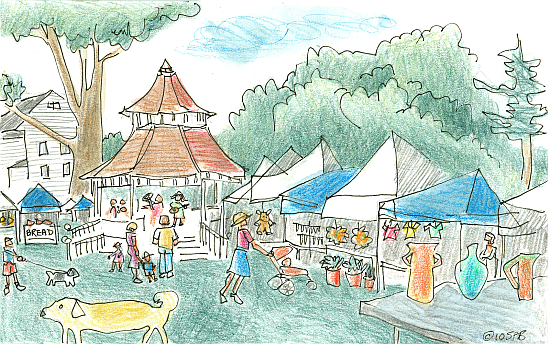 I drew this scene of the New London Market On The Green in 2010, a year before we became vendors. The yellow dog is unknown to me, but you can see my husband behind it with our departed small black and white dog named Hank. Another view of a Friday night band concert on the green. Hank is in the foreground next to our picnic blanket. The adults listen to the music and the kids run around (and pat dogs). It is a nice sort of freedom, and a blending of the generations. This year our three grandchildren brought a ball to kick around. And, as children do, they made lots of new friends. One last sketch on the green from my collection. I loved how no one was paying any attention to me as I was drawing. Except for the yellow dog. 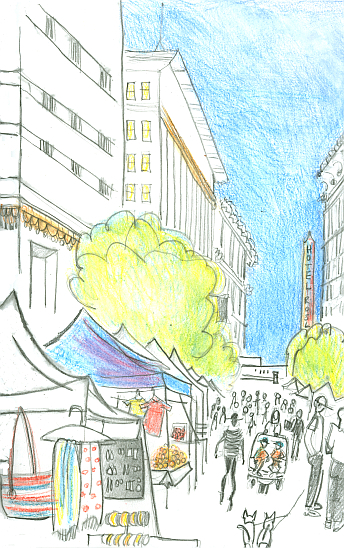 And now some more sketches of downtown Los Angeles, frequently known now as DTLA. This is a view from the top of Ten Ten Wilshire, a tall building where our daughter has an office. 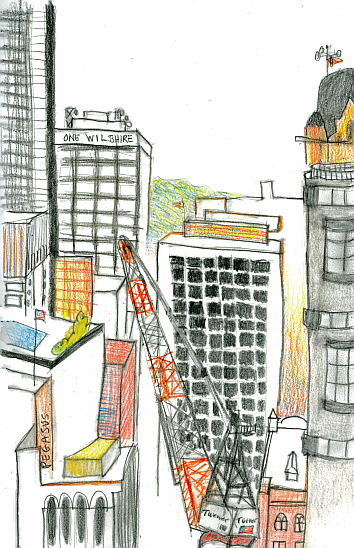 The crane was part of the 73-story Wilshire Grand project. The day that the cement mixers drove up en masse for the footings and foundation for the big project was officially called The Big Pour. Here we have the Roxie Theater on 518 South Broadway, DTLA. It opened in 1931 for film presentation, rather than stage events. 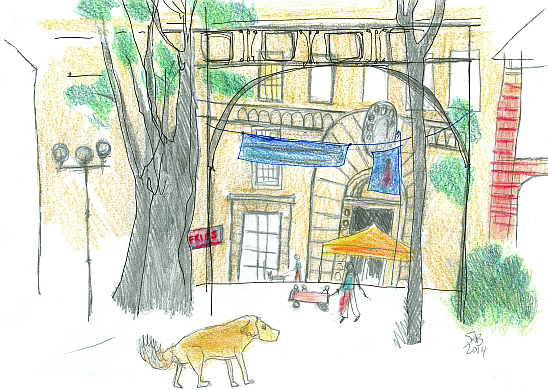 For architectural purity, I chose to draw it without the street level film marquees. I love to draw crowds and markets. Just around the corner from our daughter and son-in-law’s apartment is this Sunday market at 5th Avenue between Broadway and Spring Streets. Note the several pairs of things in the composition. Pairs of earrings, two scarfs, twin leashed dogs, and a double stroller with two young children. These things just happen. See the figure with the striped shirt? At first, I couldn’t tell if she was walking towards me or away. I purposely tried to capture this spacial ambiguity. 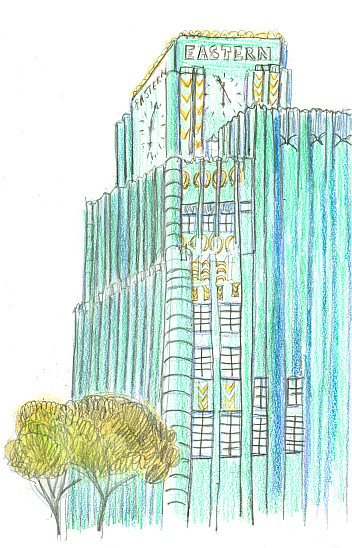 The Eastern Columbia Building at 849 South Broadway, constructed in 1930, is our daughter’s favorite she tells me. I think it was originally a department store. The thirteen story, bright turquoise, blue, and gold terracotta clad building was restored and converted into 147 condominiums in 2006. It is Art Deco style with panels of wheat sheaves. Or maybe chevrons. 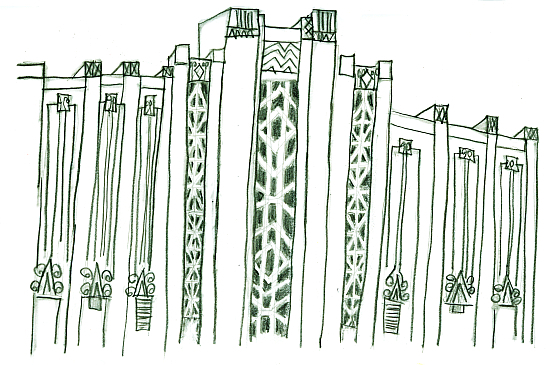 The two different times on the clocks show how long I was drawing the top of the façade. 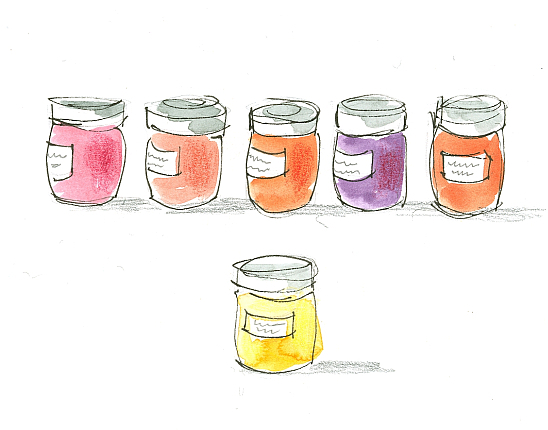 One day at the market, I drew the afternoon sunlight glowing through jam jars made by the Cutting Farm in Springfield, NH.